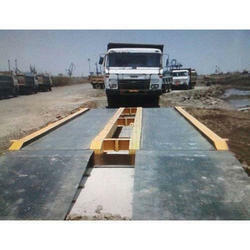 We are prominent manufacturer engaged in offering Fully Electronic Weighbridge. 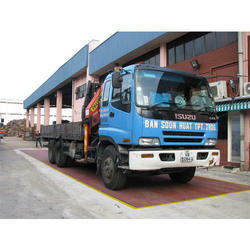 This weighbridge provides easy vehicles transportation on platform. Keeping in the mind clients’ specific requirements, we offer entire range of weighbridges in different specifications like double ended shear- beam, rocker column, compression and single ended beam load cell. We offer a comprehensive range of Electronic Weighbridge to our clients all across the world. Known for its electronic patterns and rugged structure, our range caters to the needs of varied industries. The electronic weigh bridge offered by us is used to measure the weight of the trucks, even at the time of harsh environments and heavy usage. Our range is highly beneficial and ensures easy movement of the vehicles on the platform.